Discussion in 'Electric Instruments' started by RickD67, Feb 13, 2019. 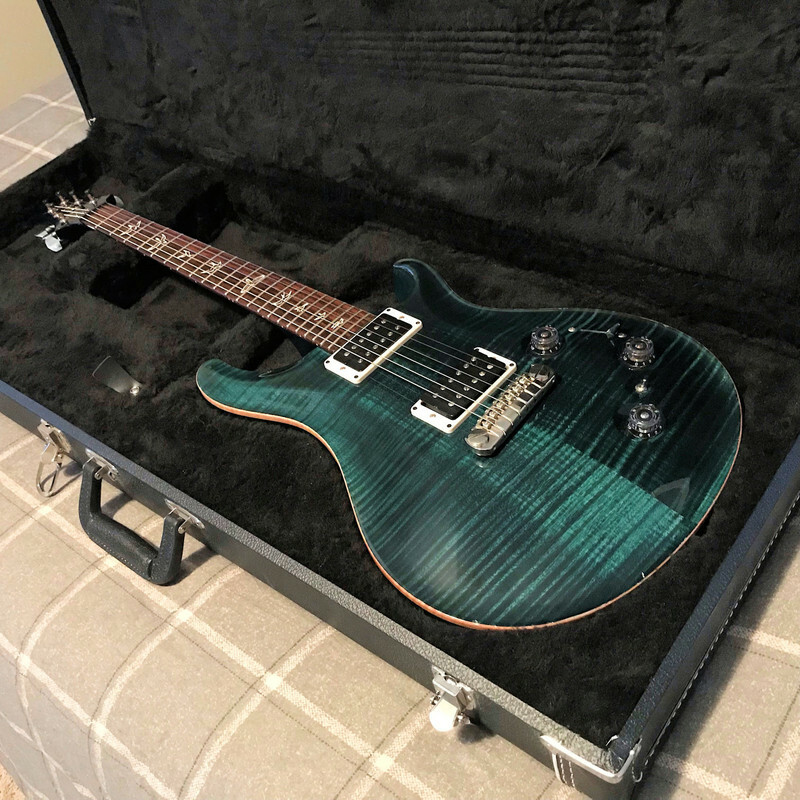 So I have a PRS P22 (Piezo22) and I am one of those guys that likes to leave his guitar plugged in on the stand next to the amp all the time. I have searched high and low but I cant find an answer to my question. My question is if I leave the guitar plugged in and have the micro-switch in the OFF position is their still a drain on the 9V battery?? TIA for any replies! BTW I absolutely love this guitar it is so versatile, beautiful and the tuning stability is amazing! grausch and shimmilou like this. I am not sure the answer (someone else will surely know). As far as I know yes, the battery will drain no matter the switch position if left plugged in. grausch and n24re like this. Yup. Unplug it unless you want to change the battery A LOT. If the jack is in, the battery will drain. If you look at the battery wrong, it will also drain. Not sure which is faster. TwelfthTangent and grausch like this. My P245 is at a shop to get a battery switch installed so I can leave it plugged in. I run wireless, so not a trip hazard. Thanks for the replies, I guess I have to get used to unplugging it after use. I used to leave my guitar plugged in all the time. Because I had one playable guitar. When I got a second playable guitar, better than the first, I left it plugged in all the time, rarely used the other one. It wasn't until I got a third playable guitar, of equal playability as far as I was concerned, that I started to get into the habit of unplugging. I now swap instruments so frequently that I pretty well have to leave stuff unplugged - at gigs I swap between 2 to 4 instruments, and at practice up to about 6. But I'm wireless using a G30 mostly with the belt-loop transmitter, so the instrument has to get unplugged for me to put it down. Yeah, I'm pretty sure it's just like active pickups. If the jack is in, the battery is being drained.